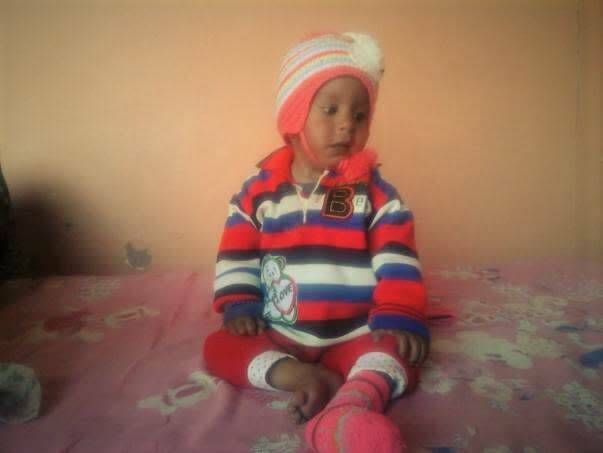 Baby Chatanya is barely 2-years-old but is already fighting a severe heart disease that is pushing him closer to complete heart failure. Chatanya was born with a hole in his heart and his parents, Sandeep and Priyanka, haven’t spent a single day without worrying about his life. 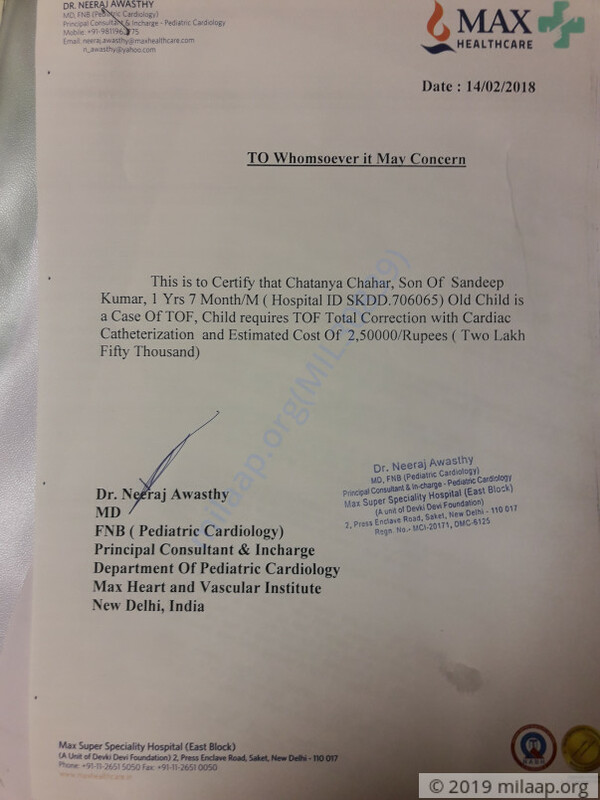 The only thing that can save Chatanya now is an urgent heart surgery. Without which, Sandeep and Priyanka might lose their only child. 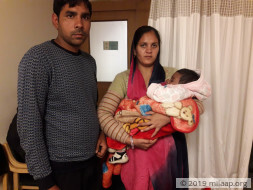 Sandeep and Priyanka couldn’t even celebrate their baby’s birth because they were given the worst news of their life at that very moment – Chatanya had a serious heart disease that impaired his heart’s ability to function and pump blood normally. Every breath is a struggle and every day a battle for survival for him. Chatanya has been shuttling between home and hospital for regular checkups for almost two years now. His little fingers and toes are constantly blue and he’s always in discomfort. Chatanya is too small to even know that his heart is slowly giving up on him, but his parents live in the fear of losing him every day. Sandeep and Priyanka want their baby healthy more than anything. They long to see him have a normal childhood and grow up to have a happy future. For now, all their dreams have come to a standstill. 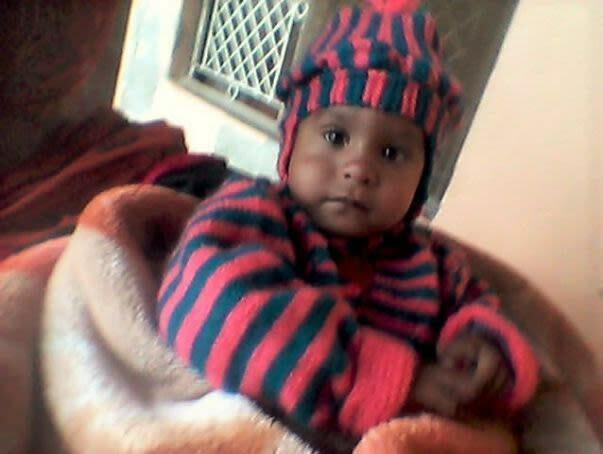 Even tomorrow remains uncertain for their little one without heart surgery. 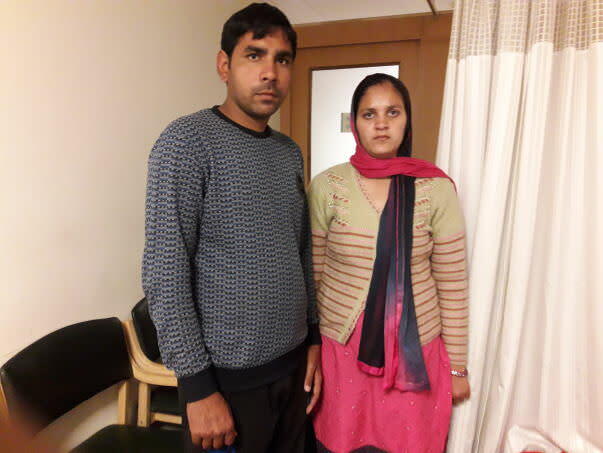 However, Sandeep and Priyanka are helpless. They have no means to save their baby boy and are desperate for help. 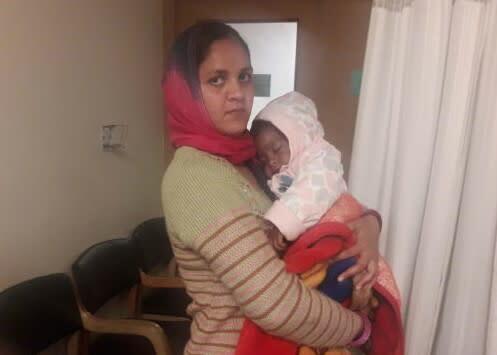 Baby Chatanya needs an urgent heart surgery to survive. Sandeep works in a warehouse in Rohtak, Haryana, and doesn’t earn enough to pay for his son’s treatment. Chatanya cries all day, and has had no respite from pain ever since his birth. He can be free from the pain and suffering. His life can be saved with surgery. Your support can save Chatanaya’s life.